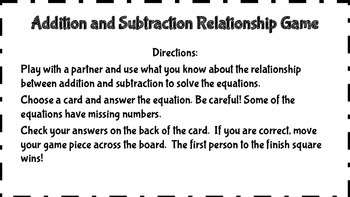 Play with a partner and use what you know about the relationship between addition and subtraction to solve the equations. 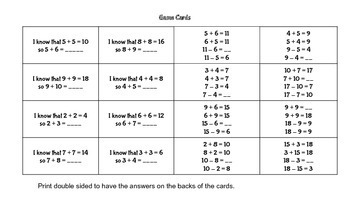 Choose a card and answer the equation. Be careful! Some of the equations have missing numbers. 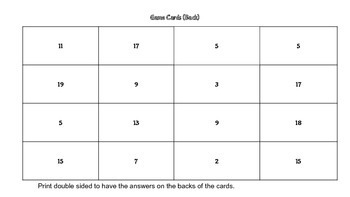 Check your answers on the back of the card. 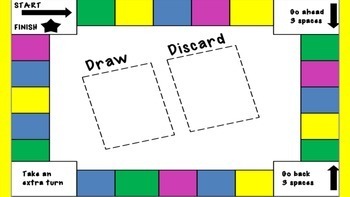 If you are correct, move your game piece across the board. The first person to the finish square wins!